An industrial strength formulation that leaves all carpet and upholstery looking like new again. It is designed to remove all types of stubborn stains from all fabrics and hard surfaces. It is also a powerful odour remover, leaving carpets smelling fresh again. 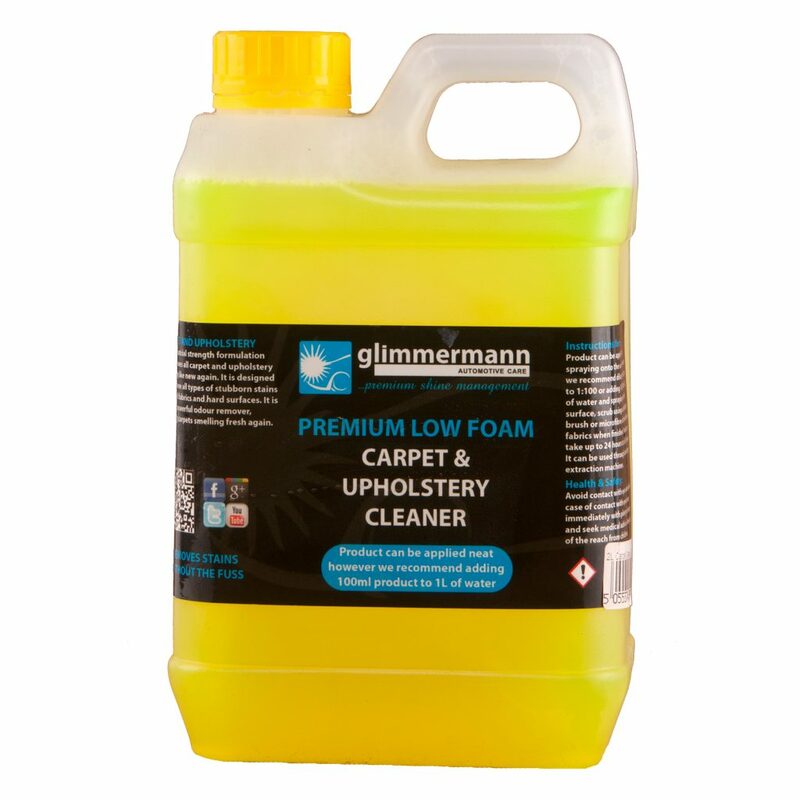 Product can be applied neat by spraying onto the surface, however we recommend diluting product up to 1:100 or adding 100-200ml to 1L of water and spraying onto the surface, scrub using an upholstery brush or microfibre cloth and hoover fabrics when finished. Product can take up to 24 hours to fully dry out. It can be used through upholstery extraction machines.